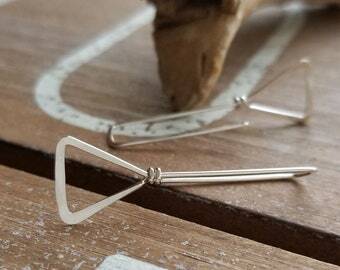 This unique pair is a bright sterling silver version of my antiqued geometric earrings. 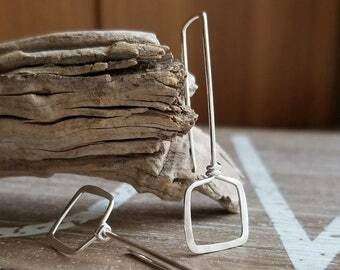 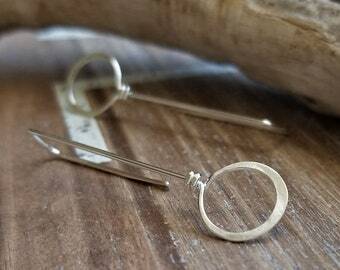 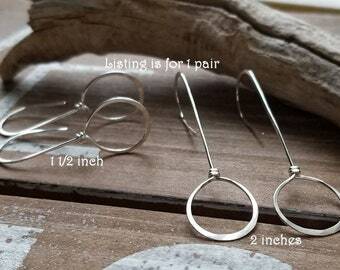 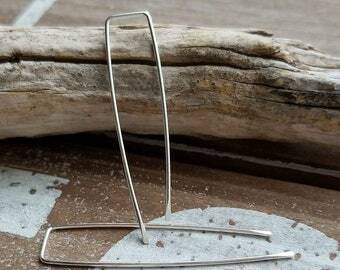 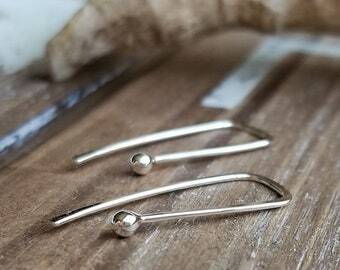 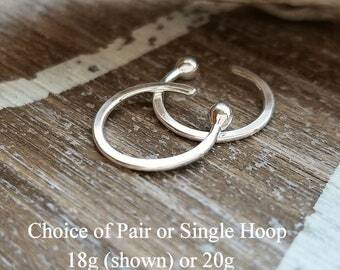 They have a skinny rectangle threader & a hammered wire wrapped circle, with a brushed finish. 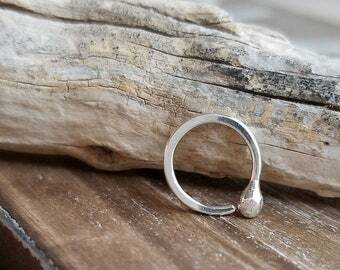 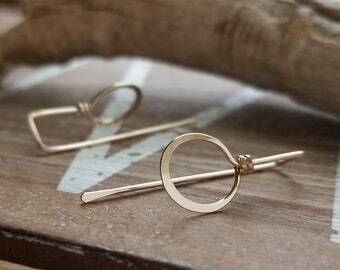 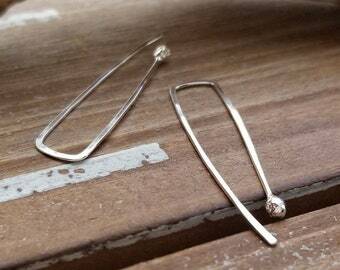 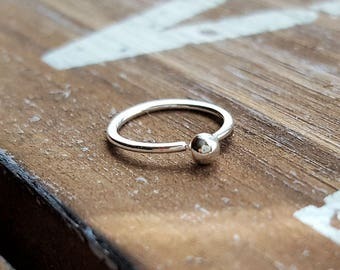 Makes for a pretty cool earring to add to your jewelry collection. 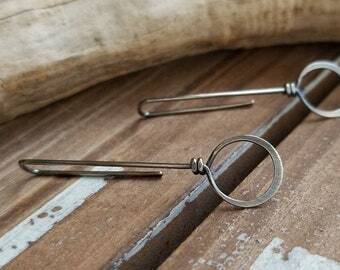 You can find the oxidized antiqued pair in the link below. 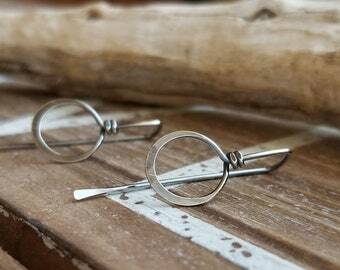 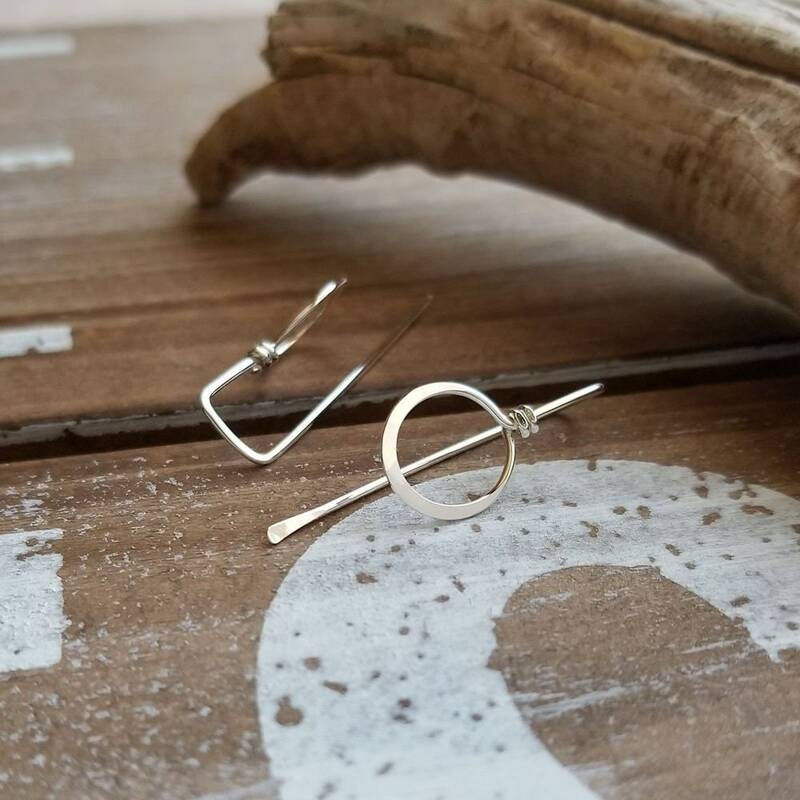 I create these cool earrings with 20 gauge Sterling Silver, hammer the wire wrapped circles, tops & ends of the earring into a small paddle shape then filed for comfort. 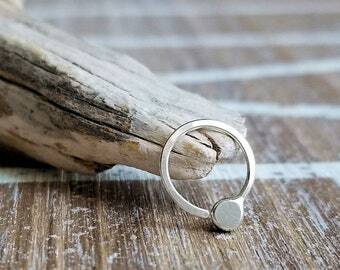 The circles have a brushed finish. 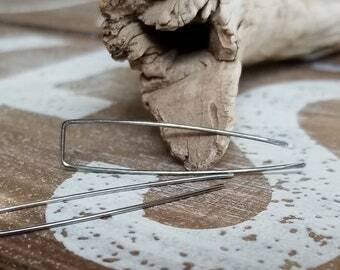 A tumble polish completes the process. 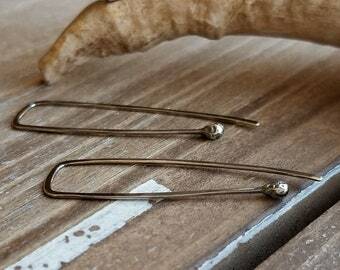 Finish: Bright with hammered circles (brushed), tops of wire and front paddle ends.